A study found antibiotics added to non-prescriptions remedies often fail to wipe out the bacteria causing a patient’s symptoms. ‘Our work raises doubt about the continued OTC availability of these antibiotics for the treatment of sore throats, especially considering the primarily viral nature of the condition,’ Mr Adrian Shephard, of Reckitt Benckiser, said. The study comes amid growing fears of antibiotic resistance – partially driven by the unnecessary doling out of the drugs – which has turned once harmless bacteria into superbugs. The World Health Organization (WHO) has warned if nothing is done we are heading towards a ‘post-antibiotic’ era. In the US alone, around 2million become infected with antibiotic-resistant bacteria every year, resulting in at least 23,000 deaths. The researchers were looking for whether the standard concentrations of antibiotics used in OTC drugs are above the minimum inhibitory concentration (MIC) – the lowest amount of a drug required to stop bacterial growth. ‘We were concerned to find that some of the OTC antibiotics used in sore throat preparations were not sufficiently concentrated to prevent growth of common human pathogens and are enabling these pathogens to develop resistance,’ Mr Shephard said. And S. pyogenes only demonstrated growth in very weak concentrations – one per cent and 5 per cent of those found in medicines – when exposed to neomycin. This research was presented at this year’s European Congress of Clinical Microbiology & Infectious Diseases in Amsterdam, Netherlands. 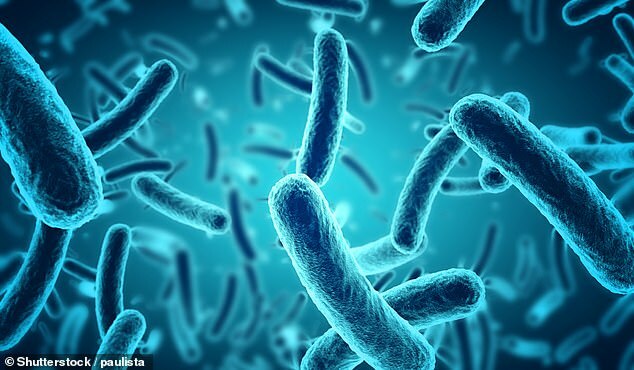 Co-author Jean-Yves Maillard – professor of pharmaceutical microbiology at the school of pharmacy and pharmaceutical sciences – added: ‘This was an interesting study that showed once again the potential of bacteria to adapt to chemotherapeutic antibiotics.